What Is the Function of A Toner Chip? As a part of the laser printer, the presence of a toner chip is essential. Though it has small volume, the function is necessary for printing. The function of the toner chip is simple: store printer’s information, the communication channel for printing consumables and laser printer. Storing printer’s information which is means it can store the messages that a printer sends back to it, including the print volumes of toner cartridges, the coverage rage of toner, the type of toner cartridge and printed are information. In order for the printer to work properly, once the messages are gone, they can’t be unrecoverable. Certainly, the recognition function determines the toner chip in different toner cartridges, different printers are not compatible. So when you plan to purchase a new toner chip, make understand what type of your laser printers, only the correct type of toner can make your cartridges take effect inside your laser printer. Certainly, when the printer determines that the toner is insufficient, the toner chip will indicates this information. Be noted: the toner chip does not have the function to control whether the printer continues to print. So when the toner chip is needed to replace? If the toner cartridge is used up, it’s time to change the equipped chip, because in the chip program, the service life of the chip is determined by the life of the toner cartridge. 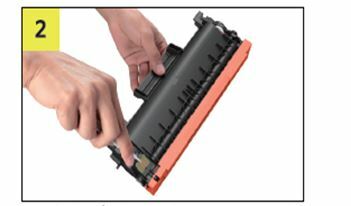 So if the cartridges are not used up while it’s broken up accidently, the toner chip can still be available in the same model of the cartridges. Besides, the toner chip can identify whether the toner cartridge is OEM for the printer when you replace a new toner cartridge. If the cartridge is not original one or the counterfeit one, the printer will indicate you the printer consumables are not the genuine. 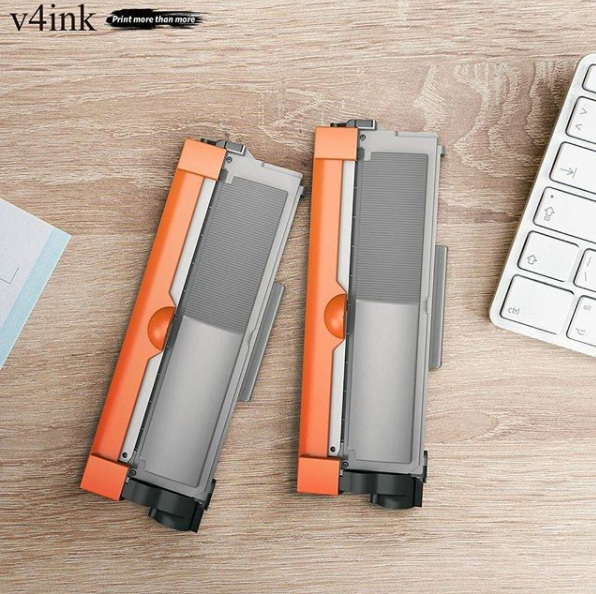 If your printer toner is compatible one instead of the false one, you can ignore these indicate message, because a genuine compatible toner cartridge is sure not damaging your printer. Whether all print cartridges come with the chips? The answer, of course, is not. 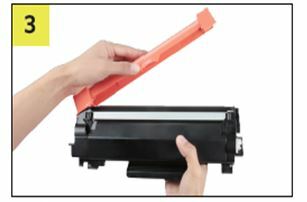 many kinds of toner cartridges do not have the chip, so when the printer toner cartridges is broken but it’s not used up, you have to do zero clear operation such as Brother toner cartridges. But the situation is not like it used to be, nowadays Brother has released the new generation of TN660 toner-brother tn760 toner, the upgrade version that equipped with toner chip. In the meanwhile, the use of toner chip can greatly improve the awareness of using genuine printer consumables at the same time avoid the damage to the printer caused by fake ink cartridges. Author adminPosted on March 2, 2018 March 8, 2018 Categories Brother Toner Cartridges, Printer GuidesTags brother tn760 toner, brother toner, printer toner cartridges, tn760 toner, toner chipLeave a comment on What Is the Function of A Toner Chip? How to disassembly Chip from the New Product tn760? How to remove your brother tn760 toner chip from your original toner to the new toner? Here you just prepare some tools and your new brother tn760 compatible toner cartridge, do as the following procedures then the disassembly operation of brother tn760 can be so easily for you to finish in a short minutes! Look for an appropriate environment when you do the following operation: take out your OEM tn760 toner from your Brother printer. 1. 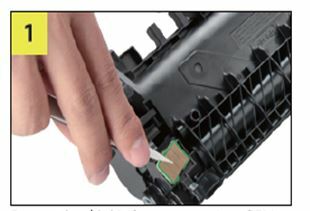 Firstly remove the old chip from your previous OEM toner cartridge with the preparing tweezers. Avoid excessive force in the process of clamping. 2. Secondly, transfer the old chip into the tn760 compatible toner and then press down the chip steadily by using a flat thing of the brother cartridge. 3. 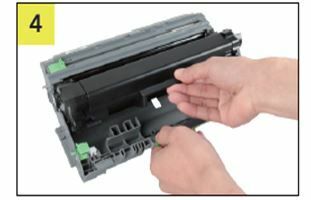 Thirdly, gently shake the brother cartridge 5 to 6 times from side to side to distribute the toner evenly. 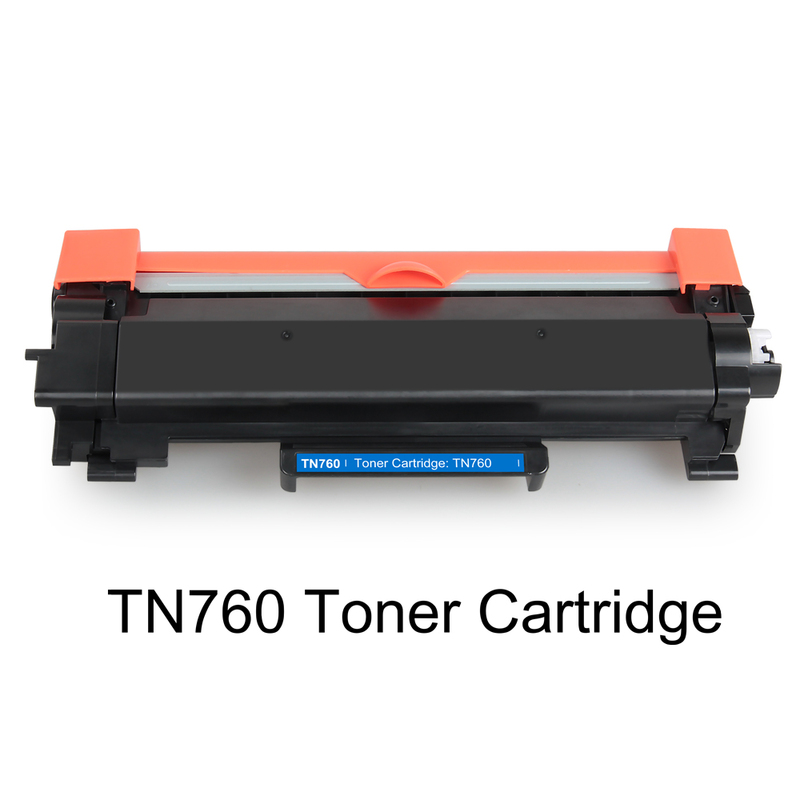 Then remove the orange protective toner cover from the new tn760 compatible toner cartridges. 4. Finally, install the brother tn760 compatible toner cartridge with drum together into printer. And the whole installation operations are completed. The printer can start to work normally when your Brother printer connects to the power. If you have any questions on our new product disassembling chip operation, welcome toconsult to us, we will in the first time to provide you with the most effective solutions and the best service! Author adminPosted on January 24, 2018 Categories Brother Toner Cartridges, Toner Cartridge for printerTags diy tn760 toner cartridge chip, tn760 compatible with chipLeave a comment on How to disassembly Chip from the New Product tn760? 2018 New Year Celebration: Buy Additional 1-Pack Toner Only Pay Extra $0.01! Have you made a new wish for the 2018 New Year? Have you hope to buy yourself a big house or plan to travel around the world? Or you just want to earn and save even more money for a better life? In order to make you more achieve your dreams, with less money to and enjoy better print quality and a higher quality of life, we have launched the large-scale New Year activities for you. 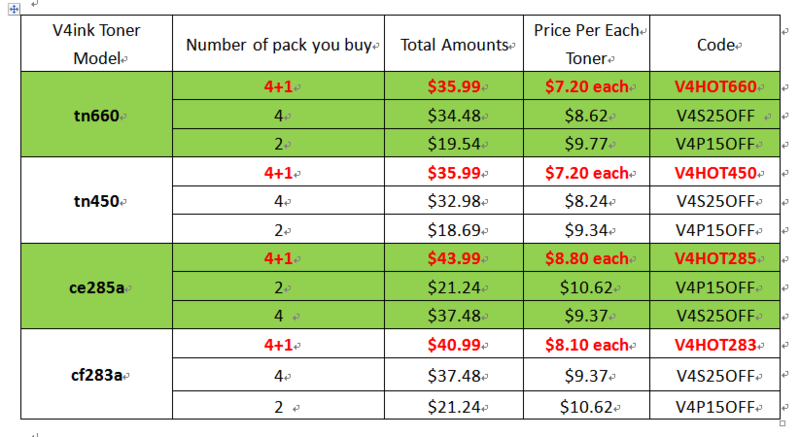 Only pay extra cost $0.01, you can get 1 pack toner! This activity takes effect now and ends on 2018.1.31! Come to check out the rules of the buying games! During the activity, you need to buy 4 packs and additional 1pack toner at the same time, then you can enjoy the big discounts by the use of the specialized code! There are four kinds of involved in this activity: tn660, tn450, ce285a, cf283a. We believe there is always a suitable product for you here! As our V4ink top and most hot-sales compatible toners, the popularity of these laser toners are self-evident. If you are our old customers, we sure you must be impressive by their stable compatibility and incredible print results. Also, the initial purpose of our superior toners is not only to allow you to enjoy the excellent printing like OEM, but also to provide the lowest price you can afford. It’s obvious to all that our compatible Brother toner always your best option for printing, regardless of page yields or printing performance. And through this activity you can afford another toner for $0.01 on the basis of purchasing our 4-pack toner at the same time. Only costing $0.01, you can save even big from the investment on our compatible tn660 and tn450 toner! Although our ce285a toner and compatible cf283 are not as popular as the formers, we are proud of their outstanding performance and the profound impact they have had on their customers. If you have ever used these two products, we believe you will never be disappointed. These two cartridges have been specially tested to achieve the best quality and the most reliable compatibility, and ensure to give you the same results as the originals! 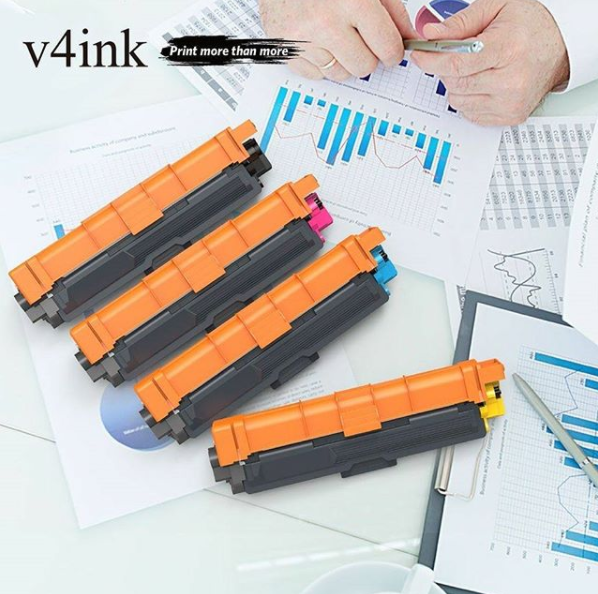 Buy 4 packs of our toner, and you can get a new one as long as you pay another $0.01! That way, you won’t worry about the next batch of print tasks, and our laser toner ensures that you’ll be able to output your desired results in any case. You’ll save $13.98 or more as long as you participate in the purchase of these two products. Of course, we provide you the other packs toner for buying if you don’t need to too much packs toner. Please refer to the table as following to get more details on our other pack toner cartridges. Go ahead for picking out these practical and superior laser toners! 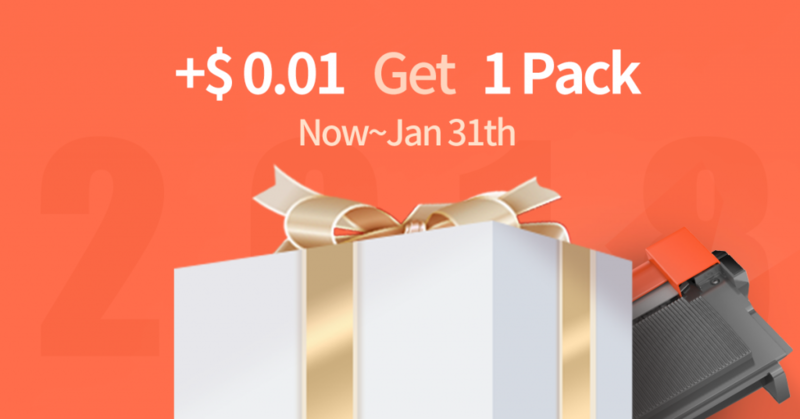 Directly click to enter our activity page https://www.v4ink.com/happy-new-year2018 to enjoy the most money-saving New Year celebration activity! Buy more, save more, and enjoy more surprises in printing process! Author adminPosted on January 16, 2018 February 1, 2018 Categories Brother Toner Cartridges, Canon Toner Cartridges, HP Toner Cartridges, Toner Cartridge for printer, V4INK CouponTags $0.01 toner, +$0.01 get 1 pack toner, ce283a code, ce285a code, tn450 code, tn660 codeLeave a comment on 2018 New Year Celebration: Buy Additional 1-Pack Toner Only Pay Extra $0.01! New released dr730 by Brother is so powerful to be compatible with three kinds of brother toners: tn760, tn730 and tn770. But in daily life, most people will take it for granted that they are the same things. In fact, they are different. Such these differentiations make them have a clear division of the labors and duties, and work together to form the essential parts of the laser printer. 1、What’s the biggest difference between tn760 and dr730? Scientifically speaking, tn760 is a container of carbon powder that is the composition of printed materials. Without toner, the printed material is still blank and there is nothing in it. And dr730 is the house shell for tn760, which is a power device that transfers the printed information such as images to the paper. Without the drum unit, the carbon powder can’t be formed the printed shapes as you expect on printed materials. On the one hand they are independent of each other, so if either of them breaks down or is used up, you just need to change the bad individual part; on the other hand, they are both indispensable for printers for they work together to finish the printing work. Therefore, if one of them is missing, the entire print process cannot be completed. In contrast, tn760 has been replaced more often than dr730, because it has fewer pages yields and is easier to be used up. A standard tn760 can print up 3000 and high-volume dr730 can full print 12000 pages in daily use. So, if you are a user who needs high-volume printing, you will obviously feel the dr730 has a much longer life than the tn770, and the dr730 is more durable than tn760. Because of the longer service and larger print capacity, the selling price of dr730 is often more expensive than the later. Of course, the lifespan of tn760 is limited. When you replace three or four carbon powders, it turns out that tn760 should be replaced. Because of their respective roles, their respective fields are different. For example, if you find that the color of the printed material has faded, that means your tn760 carbon powder will run out, and you just need to replace a new toner. As we said previously, we don’t need to replace dr760. However, if you find that there are some black lines or irregular white stripes in your printed material, you should check your dr730. If the situation gets serious, you should replace a new one immediately rather than change a new toner. 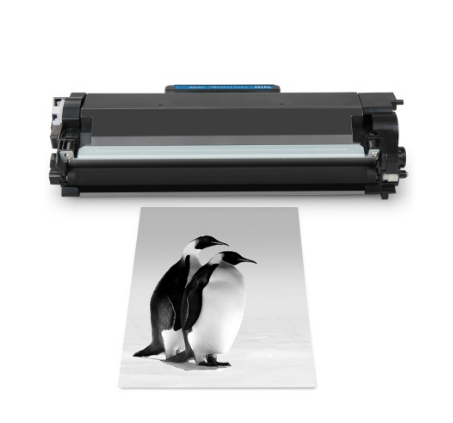 Unlike HP brand integrated printing consumables, the designs of brother and drum is separately, which can greatly reduce the later printing costs and provide great conveniences when replacement. 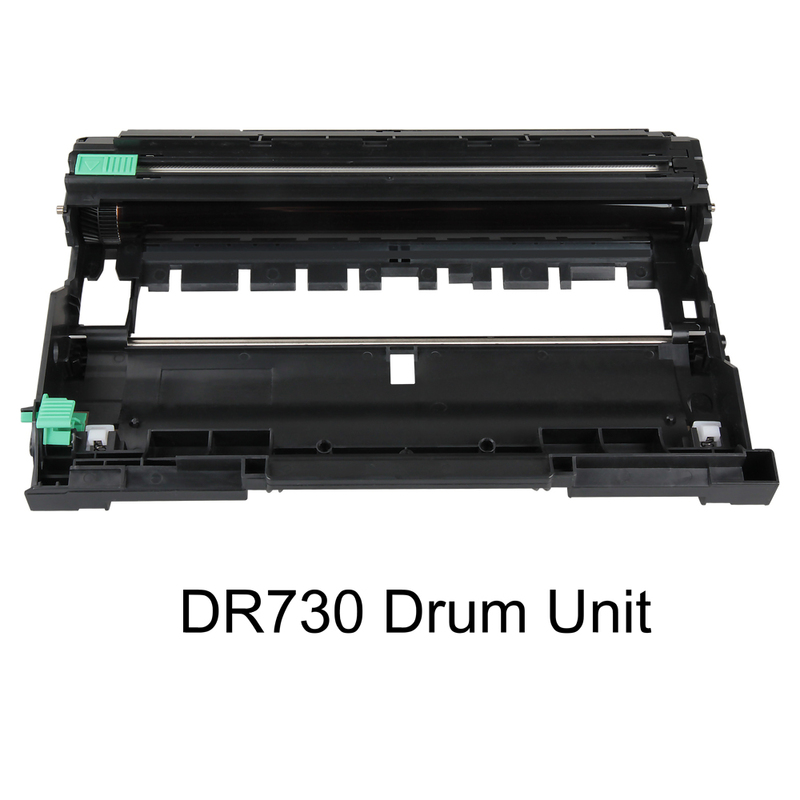 If you are fond of this separate structure of brother printing consumables, think about tn760 and dr730, the new version with chip for the best printouts. Although tn760 and dr730 belong to different individuals, in some places they are similar: they both are vulnerable so that we should need to maintenance them in daily use and prevent them from the harm from the outsides, at the same time, make full use of them. First we need to know how the image can form when being printed out. There are several ways to produce toner images on the surface of the paper. The first is the physical grinding method. The advantage of the grinding method is its low cost. However, the ground toner particles are uneven and the shapes are not uniform. It may affect the print quality. The second way is the chemical synthesis method: the use of chemical methods and the different materials form a spherical toner, fixing the image. The spherical carbon powder is of high charge, low melting point, delicate uniform and easy to print high Quality documents. This process is currently more popular other than carbon powder, which is a biological toner. And there are raw materials in the toner containing a certain percentage of bio-resin, which can save energy and oil, and improved biodegradability. This is for sure more conducive to environmental protection. By contrast, we can easily find that the toner production process has a very big impact on print quality, and chemical synthesis of spherical toner became more closely to form a better image. As the toner is arranged irregularly, it can also affect print quality. In formal document printing, the quality requirements of users generally are higher, so we recommend the Brother toner to you. Pay attention to the long-term average performance of your brother toners! In the past when working for the group company, some purchasing newcomers bought a low-cost cartridge, and then give the reasons justifiably, “You see, it prints out the same effects?” Come on please look at the long-term effects. At the very beginning, they all feel the same. But after some time, you will find that long-term uses do matter. Focused on efficiency, you are very concerned about the cost of time! Printer is an office appliance, due to improper use or service life, some failure is inevitable, then the follow-up to prevent the use and maintenance is inevitable, either. Although being inevitable, we can still control and reduce its losses, including the loss of money and time costs. A call can in a short time bring the staff to troubleshoot, bringing more than just the feeling of relieving, more efficiency. Finally, take a look at the customer review: Great toner product even better for the price. I read all the other reviews and noted that some reported the print was not as “dark”. I haven’t seen any evidence of this so far. I have changed my toner cartridge many times, using factory replacements. I felt some trepidation while installing this cartridge knowing I bought two of the V4INK cartridges for less than one of the name brand cartridges. After getting it installed and running the very first page (a full page of print mind you), I should have taken a ‘selfie’ to capture the big smile on my face. Even if the other cartridge is no good (I bought a 2-pack), I am still money ahead. I will only buy these from now on. Thank you V4INK. Another customer review: I was skeptical at first due to the price. Printed almost 800 pages for a car show without any issues. No smearing and the color is as dark on the first page as it is on the last. No fading at all. I’ll.be buying more.